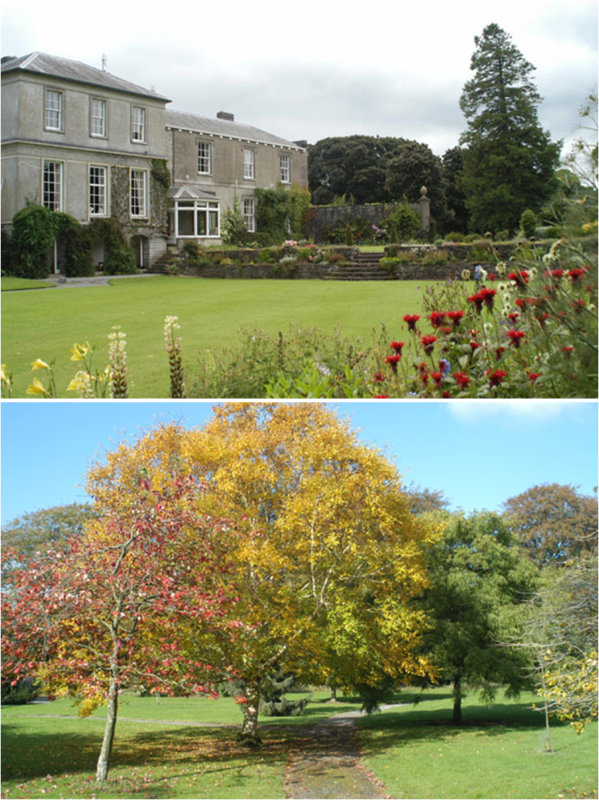 To find out more about Coolcarrigan House & Garden call, +353 45 863 527. Coolcarrigan House & Gardens is a hidden oasis on the edge of the Bog of Allen near Coill Dubh, with a fantastic 15 acre garden full of rare and unusual trees and a small church in a woodland setting, surrounded by a moat. Coolcarrigan House is an attractive Georgian house built in the 1830’s and originally used as a shooting lodge. The house which has been added to and modernised over the years, was built by Robert Mackay Wilson. The church, built by the same architect, has some very interesting stained glass windows and Gaelic scripts on the walls chosen by Douglas Hyde, the first President of Ireland. The gardens underwent a major renovation program in the 1970’s after a windstorm. During this renovation major replanting took place with the assistance of Sir Harold Hillier, the eminent English plantsman. What was created is a very unusual collection of trees and shrubs, many of which will not be found elsewhere in Ireland. It is open to visitors and is visited by many worldwide gardening groups and international dendrologists. Paths meander through the eight acre garden and create surprises and vistas around every corner. The arboretum was extended by an additional seven acres in 2003 with many new rarities, and a special wild flower meadow.